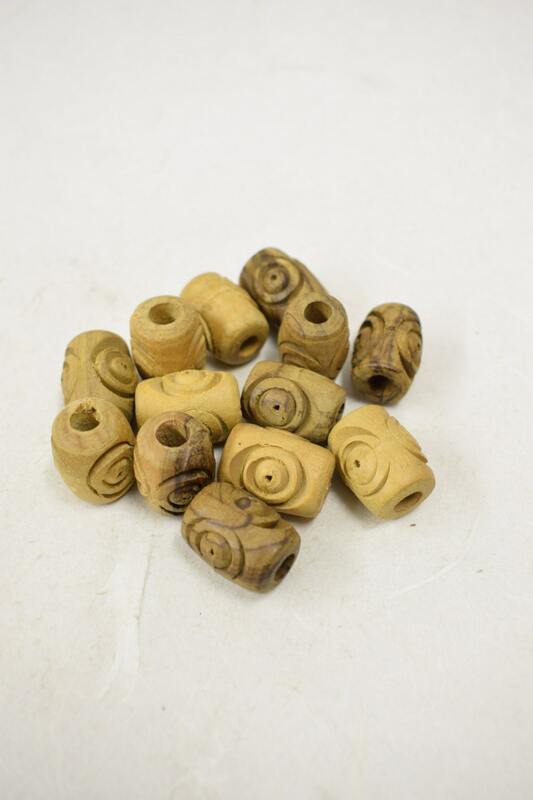 These are 10 beautiful Vintage Carved Barrel Olive Wood beads and all made from 100% authentic olive wood the Middle East. Each bead is handmade, and many people also refer to these beads as Middle Eastern rosary beads because of their use in rosary necklaces. These beads were purchased 25 years ago when creating my own jewelry designed necklaces. 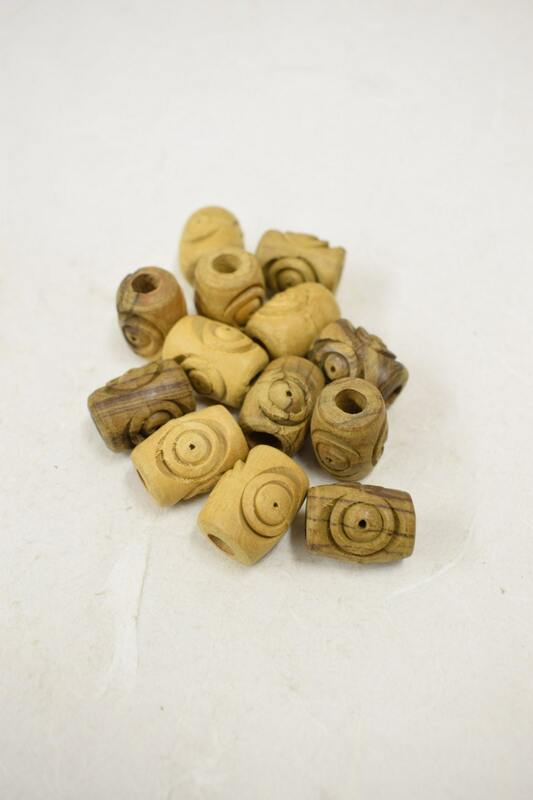 These wood beads are beautiful and y spiritual and would be lovely in necklaces, bracelets, earrings and all your creative designs. What a creative holiday gift!